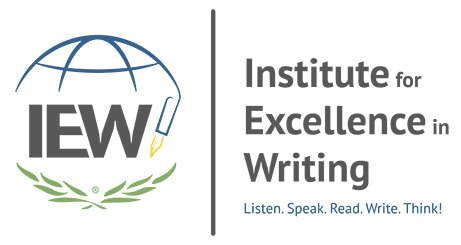 The Institute for Excellence in Writing (IEW) has recently revised and updated their already incomparable writing program, and members of the Schoolhouse Review Crew had the opportunity to try out this updated version of our old favorite writing curriculum. The DVDs have been re-recorded from recent seminars. Though much of the content in their deluxe combinations the same, it has also been expanded. For this review, we received their Deluxe Combo Teacher/Student Writing Package Level C [FIX-3 & 4] with A Word Write Now as well as one of their Portable Walls. Level C is for students doing 9th-12th grade level work. Teaching Writing Structure and Style (TWSS) is for the parent or teacher. 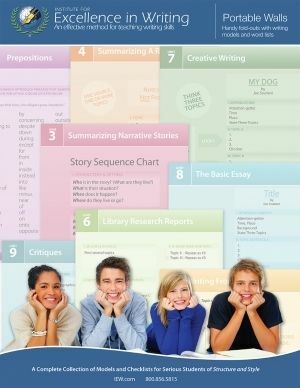 This is the main part of the program as IEW's unique writing lessons are completely explained in these 12 DVDs. A complete workbook binder corresponds to the seminar but also contains resources of charts and even sample lesson plans. Parents, not students, are taught how to teach in these seminars, though at times I had my girls watch these along with me as well as their own student workshops. The viewing guide helps break down the seminar into lessons. A new component of this is a one year access to online streaming of the DVDS so they are even accessible when traveling through your IEW account. An extensive set of online resources is also provided. Access to monthly training webinars is also included from August through May. Like the DVDs for the parents, the Student Writing Intensive is also taught by Andrew Pudewa. 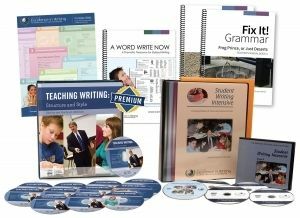 The Student Writing Intensive level C includes a binder for the student and an additional set of DVDs which is their student workshop. Levels A-C progress from elementary to high school. Our high school version covers necessary steps for effective report writing but starts with simple paragraphs. We strayed from the recommended format a little for this and my oldest daughter worked through these lessons with more independence this time than when it was previously used. One of the new components is Fix-It Grammar which we had the opportunity to review during the last school year. The girls started with Book 3 and have continued to use it throughout the entire school year at their own pace. (Placement tests help you decide which book is best for your own child.) My ninth grader found it especially helpful, and she just completed book 3. She has been using the physical book which we received during the review, but we previewed the included e-book for Book 4 which she will be using in 10th grade. By finding errors in one short passage each day, my daughter's grammar and writing skills have noticeably improved. A spiral bound teacher book and downloadable student book is included with this set, but spiral bound student books can also be purchased. This new spiral bound reference is a versatile resource. All three of my children have been able to use it to enhance their writing. A Word Write Now is so much more than a regular thesaurus. 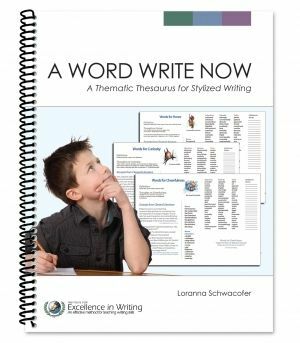 In IEW, ways to enhance your writing are called stylistic techniques. Students are taught about "dress ups" and "decorations" and even have a list of banned words. This book incorporates these components from their lessons while helping students find just the right word based on theme instead of a vague alphabetical list. Words can be looked up by behavioral traits and character qualities; what other thesaurus can do that? The portable wall is a sturdy thick laminated folder which opens up to become a table-top wall. When positioned to stand on the desk in front of your student, the three sided portable wall provides one way to partially block other distractions in the room. This tool is used frequently for this purpose by my son. The girls both use it for the resource information provided, but keep it folded and refer to it as needed. Lists of prepositions, "strong verbs," adverbs, extensions...components taught in the lessons are shared on the wall as a convenient resource. My senior completed IEW's Student Writing Intensive Level C before (in 6th grade) so some things were a review. She found, though, that some of the techniques had been forgotten. Some of the skills that she didn't use before are now applicable. She told me that she had forgotten about using the words who or which to combine sentences when re-writing short stories. Other tips such as "make your final paragraph shorter than the original" were familiar but beneficial to view again from her current perspective. From our experiences I recommend using this both for middle school and high school writing training. Heather (my oldest daughter) is my note taker. 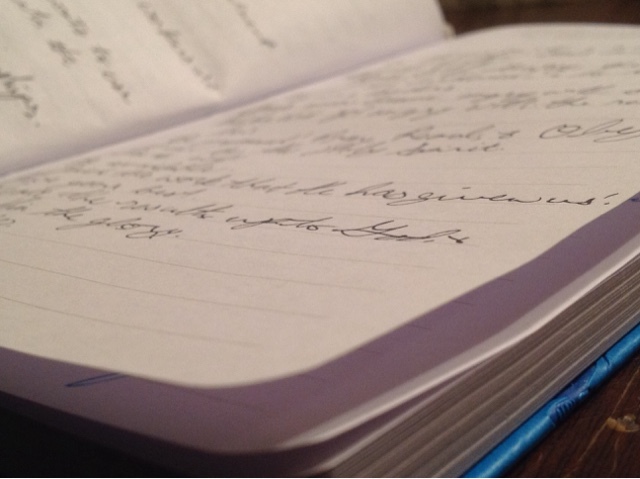 For the past year at church, she has filled a journal with neat notes from points shared in the sermons and on a screen. 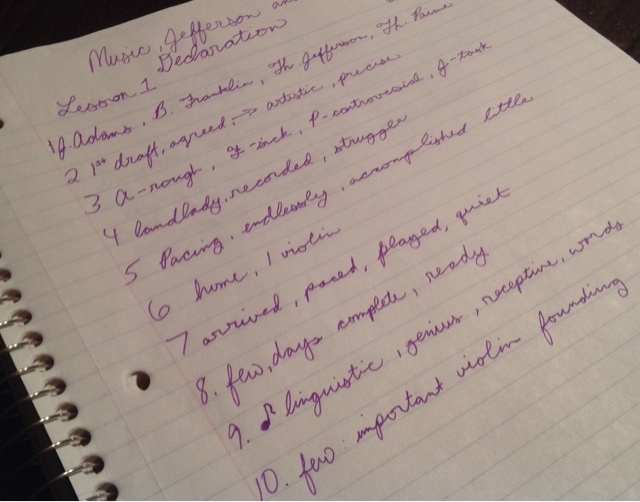 She shared "By taking notes I am more inspired to go back and study the lesson. By writing my thoughts and needed references already, it helps me remember the things that stood out to me." Our interim pastor left and we recently had an evangelist speak to our church. Heather shared with me after church how difficult it was to take notes as he talked so fast and jumped to another topic quickly. 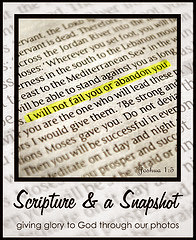 I challenged her to follow IEW's tips when she went back that night and take notes at church as if she were writing from a lecture. She still wrote some complete sentences, but most were the no more four word (with additional abbreviations) way that she had been using in her student writing intensive lessons. She was able to look back at those notes and recall what was said. To use information learned and apply it in a different setting, to me, shows a complete understanding of the process. That is what I want for all of our homeschool lessons, for them to be applied by my children to real life. IEW now also offers special needs packages which some of the crew reviewed. Click on the banner below to read more of the crew reviews of various levels of TWSS as well as their Primary Arts of Language program.